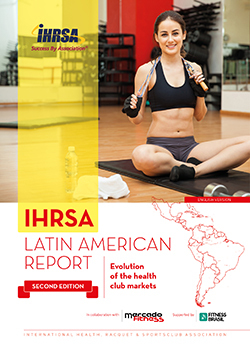 The International Health, Racquet & Sportsclub Association (IHRSA) recently released The IHRSA Latin American Report (Second Edition), sponsored by Hoist Fitness. This research publication, an update to its groundbreaking 2012 report, was produced in collaboration with Mercado Fitness (Argentina) and supported by Fitness Brazil. According to the report, the health club industry in Latin America is robust. The 18 Latin American markets analysed in the report generate US$6 billion (AU$7.5 billion) in revenue from more than 65,000 clubs. Nearly 20 million Latin Americans are members of a health club. Brazil, alone, accounts for more than half of the health clubs in Latin America with 34,509 facilities. Argentina has the highest penetration rate among all Latin American markets as 6.8% of Argentineans belong to a health club. While club operators and industry experts have observed growth amidst market developments in the region, opportunities abound in Latin America. The report shows the average penetration rate of 2.15%, signifying potential for growth. Along with Argentina, Brazil and Mexico have member penetration rates exceeding 3%, at 4.6% and 3.2%, respectively. In Latin America, 130 million people are affected by obesity. These figures could reach 191 million by 2030. The countries with highest rates of obesity are Mexico (32.8%), Venezuela (30.8%), Argentina (29.4%), Chile (29.1%) and Uruguay (23.5%). Obesity is a global pandemic: a person with obesity lives 10 years less than someone with healthy weight. Specialists agree that the origin of obesity is in lifestyle: diets high in saturated fats and lack of regular exercise. World Bank reports indicate that if this tendency continues, by 2030 the number of people in Latin America with obesity will reach 30% of the population. World Health Organisation data points out that in Latin America 60% of the population is sedentary. This same agency indicates that in this region physical inactivity causes 1 out of every 10 deaths — nearly the same impact smoking has on the population according to scientists. When the last regional IHRSA report was published in 2012, there were only two low cost chains in two countries in Latin America. Today, less than five years later, there are at least 23 different brands which gather 448 gyms (340 belong to SmartFit) in 12 countries throughout the region. Undeniably, this phenomenon has only just begun. In competitive scenarios, with consumers eager for enhancing their experience, the fitness industry is undergoing a substantial diversification process. While premium health clubs and low cost gyms consolidate opposite poles within the market, boutique fitness studios, also known as Micro Gyms, thrive in Latin America as well as globally. The IHRSA Latin American Report (Second Edition) (77 pages) is available at ihrsa.org/latin-american-report in English, Spanish and Portuguese. IHRSA proudly welcomes Carrie Kepple, Alan Leach, Bryan O’Rourke, and Brad Wilkins as new members of the IHRSA Board of Directors. The board-elect will serve a four-year term which began on July 1, 2017 and ends on June 30, 2021. Kepple has also served as a global sales training consultant for Les Mills and as the national director for 62 corporate owned clubs offering Gold’s Gym Group Exercise (GGX). Most recently, Kepple launched a new coaching business called LIFESTYLES — Mindful Wellness, and she enjoys being a distributor for Kyäni nutritional supplements—demonstrating how proper nutrition can be paired with daily exercise to produce lasting health benefits. Alan Leach currently serves as general manager, sales trainer, and head of sales and marketing for the West Wood Club, based in Dublin, Ireland. He uses his 32 years of health club and sales management experience to serve more than 33,000 health club members at West Wood Club and Crunch Fitness locations in Ireland and Bosnia. Leach has been an avid supporter of the industry for years. At the start of his career, he grew an individual club’s membership from 700 to 3,100 — establishing the club as one of the most profitable facilities in Europe. He continues to promote physical activity and the global industry as a regular speaker at countless events for fitness professionals. Bryan O’Rourke is the founder and CEO of Integerus, LLC; the chief security officer (CSO) and principal of Fitness Marketing Systems, LLC; the CSO and partner in the Flywheel Group, LLC; the president of the Fitness Industry Technology Council (FITC); and the owner and CSO of a chain of Gold’s Gyms based in Houston, Texas. He is also a former chairman of the Medical Fitness Association’s education committee. O’Rourke is an industry innovator and technology expert, who serves and consults with leading fitness and health clubs brands around the world. As a highly regarded speaker and author, he has spoken on four continents, addressing how health club businesses and wellness professionals are improving the world’s health one step at a time. He was recently named to ACE’s industry advisory council and contributes to the GGFA’s think tank. Brad Wilkins is the senior vice president of Cooper Aerobics Enterprises, Inc., and oversees the Cooper Fitness Centre and the Cooper Spa in Dallas, Texas. Wilkins joined Cooper Fitness Centre as an intern in 1996 and since then, has taken on roles as a fitness trainer, fitness director, and general manager. Most recently, in 2015, he was named the chief operating officer of Cooper Wellness Strategies. Use AmazonSmile and select the IHRSA Foundation as your charity of choice. Log on to www.ihrsafoundation.org to learn more and to support the IHRSA Foundation. 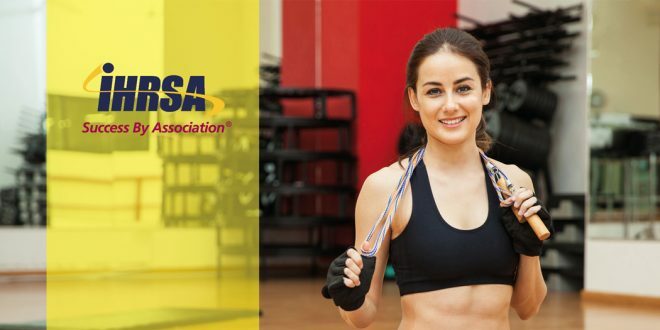 Founded in 1981, IHRSA – the International Health, Racquet & Sportsclub Association – is the industry’s global trade association, representing more than 10,000 health and fitness facilities and suppliers worldwide. Locate an IHRSA club at www.healthclubs.com To learn how IHRSA can help your business thrive, visit www.ihrsa.org. John Holsinger, IHRSA’s Director, Asia Pacific, can be reached via e-mail to jwh@ihrsa.org or via mobile phone to +61-437-393-369. Article written for the What’s New in Fitness Magazine – Spring 2017 Edition.